The IRB 260 is designed and optimized primarily for packing applications. 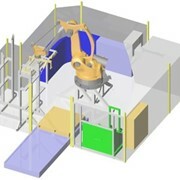 It is built to meet your reach and payload requirements whilst being small enough to fit into compact packing machines. 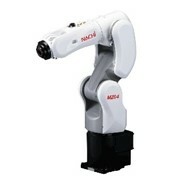 Combined with ABB motion control and tracking performance, the robot is ideal in flexible packing systems. 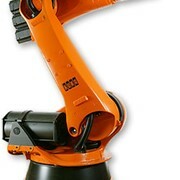 The IRB 260 is based upon the world’s most popular industrial robot, IRB 2400, with an installed base >14.000 units. Design optimized for packing in combination with ABB unique motion control ensures short packing cycle times. The robot has best in class accuracy and superior ABB conveyor tracking performance resulting in excellent pick and place accuracy, both when working with fixed positions as well as on the fly. 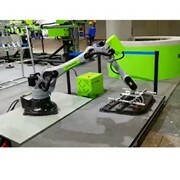 The robot is optimized for packing application and combines compactness and high speed with a 30 kg payload capacity. Durable in tough environments - IP67. 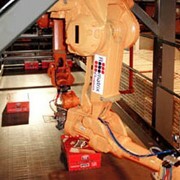 Low on weight and height, the robot easily fits into compact packing machines. 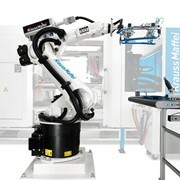 With a work envelope optimized for packing applications, the robot becomes the natural choice for robot automation. 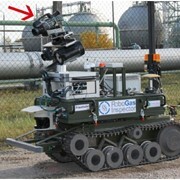 The robot comes fully equipped with integrated air and signals all the way to the gripper. Combined with the ABB packaging SW, PickMaster™, the robot is not only easy to integrate from a mechanical point of view but also extremely simple to program. The idea behind our company is to combine industrial and R&D knowledge to develop faster, more reliable new systems and products to improve the world for tomorrow. Our engineering skill set covers: Robotics & Automation, Electronics, Mechanics, Control & Filtering, Information Technology (IT) and Artificial Intelligence (AI). Our business specialises in research and development projects, with an emphasis on robotics applications. 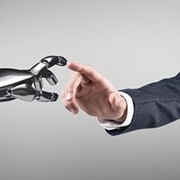 Freelance Robotics also undertakes contracts in the areas of factory automation (including robot machine integration), and robotics engineering consultancy. 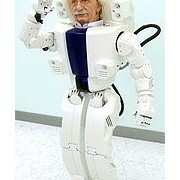 Mention IndustrySearch so Freelance Robotics can best assist you! Get a callback from an expert at Freelance Robotics to help answer your questions.